Had a request for additional information regarding tools and dimensions for the rocker repair work. Not all of the following tools are necessary, but they do make the job easier. 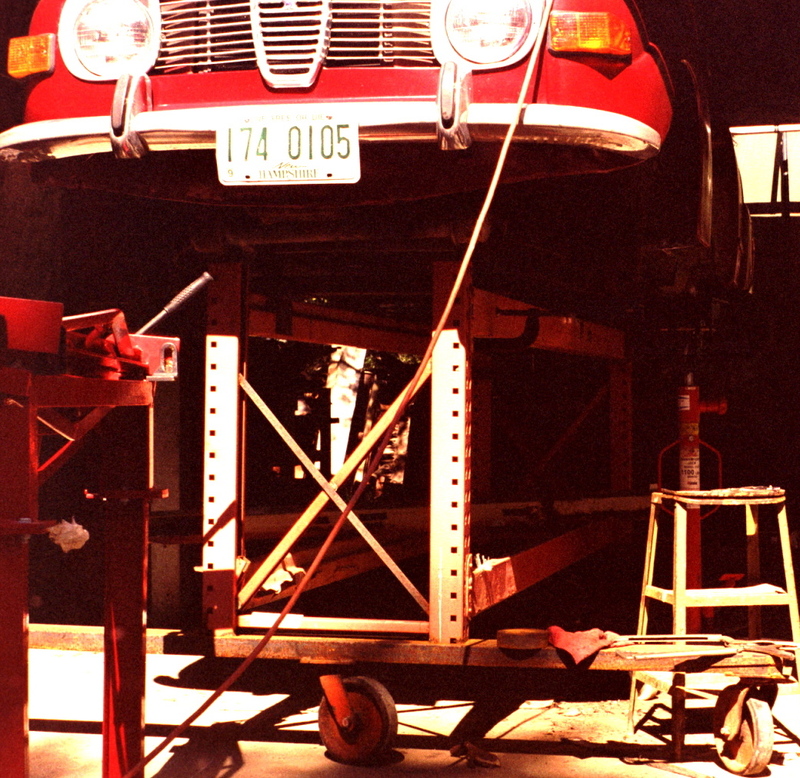 The mig was purchased new in 1985. In addition to the fine adjustments for voltage and wire feed on the front panel, it also has a tunable spot weld timer. (I don’t recall the settings used for the frame project). One will need to fine tune for whatever machine they have available anyhow. A machine of this vintage is heavy and takes up a lot of space, but the odds are good that the hobbyist will never exceeds it’s capacity. Also, one can find the same unit today for a fraction of the original cost. The plasma cutter was obtained by way of Craigslist. Heavy, a bit clumsy in the torch department, but the price couldn’t be beat. Not really good for light gauge work. This particular unit was sold under at least six different brand names, and consumables are still available. 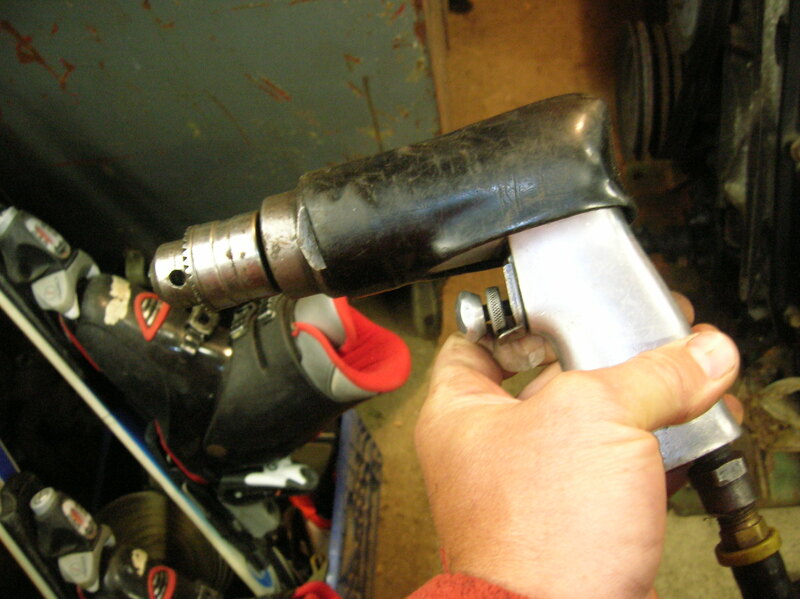 Spot weld tip for the Tweco mig gun. You can simply center the tip over the hole punched in the ‘upper’ panel, and pull the trigger. 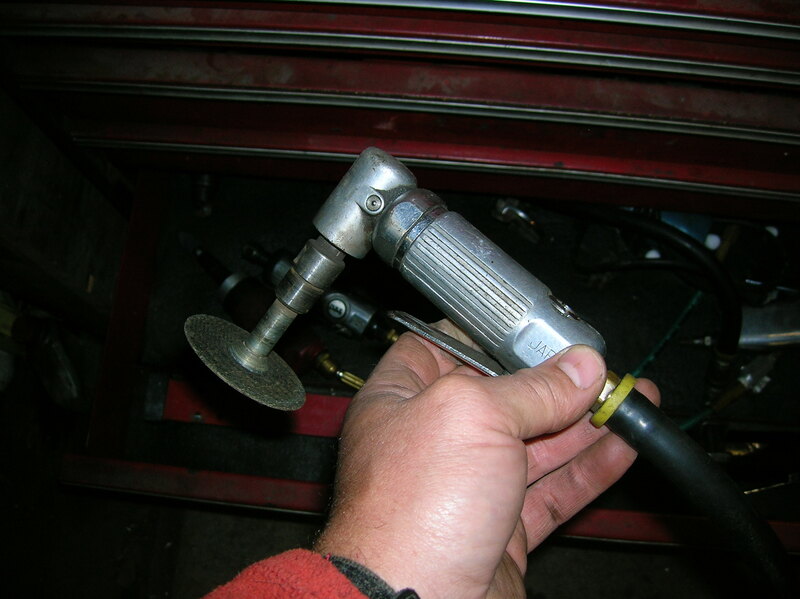 If the timer and heat settings are correct, you’ll get a clean plug weld. 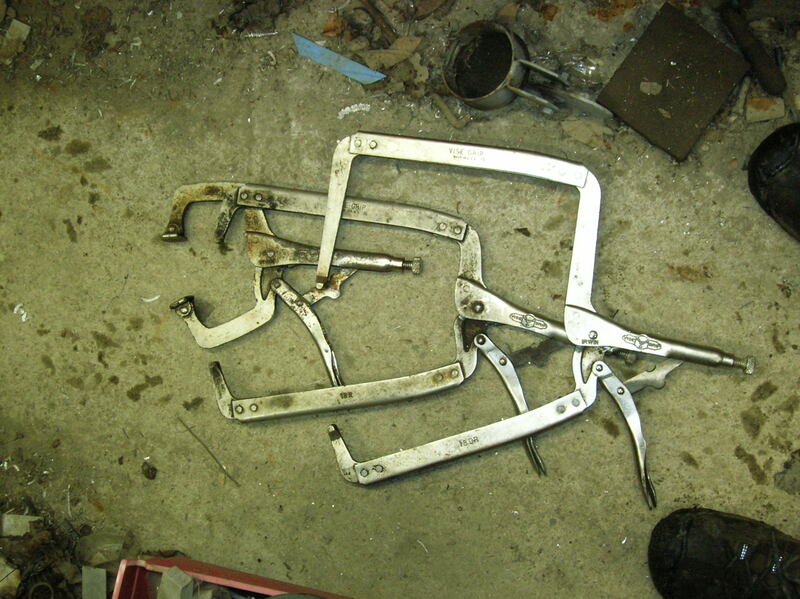 The four prongs make contact with the work. I use .030 wire for most light gauge welding. 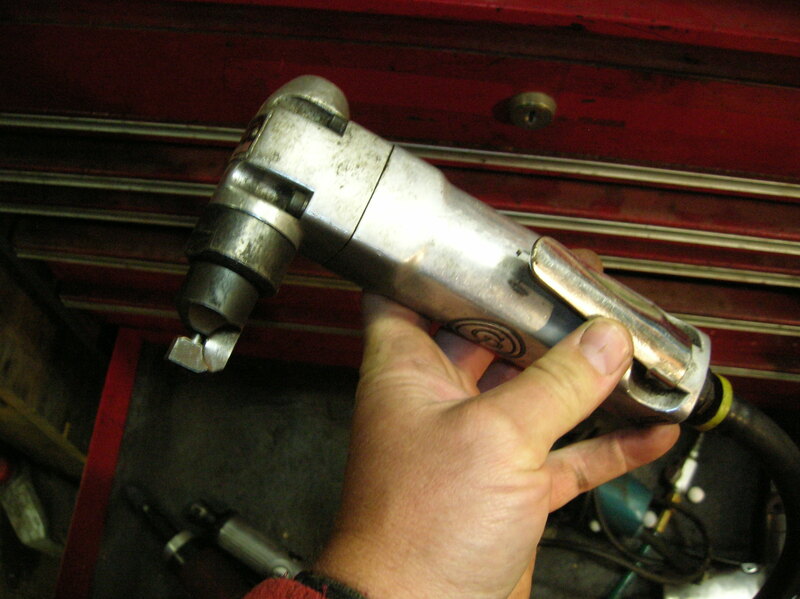 The punch/flange tool is used to punch one of the two panels in preparation for a plug weld. Given the number of welds (most spaced alternating 1″ to 1.5″) this tool saves a lot of time and effort, and leaves a nice clean hole. The head rotates (without tools) for better positioning. These are available in both a pistol and barrel grip, and also with either a large or small punch. Go with the small punch. (I’ll take a measure one of these days). Pneumatic drill. 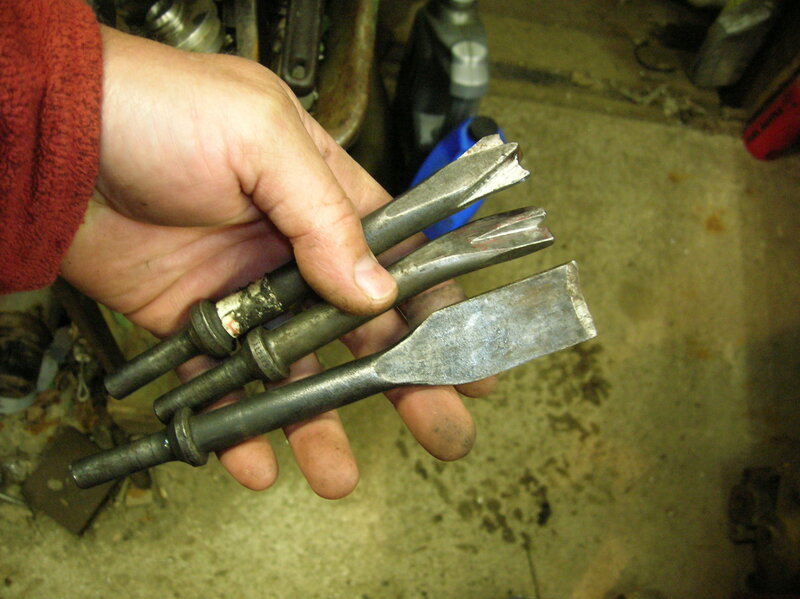 To cut spotwelds, center punch the weld, then drill in a center divot with a small bit. 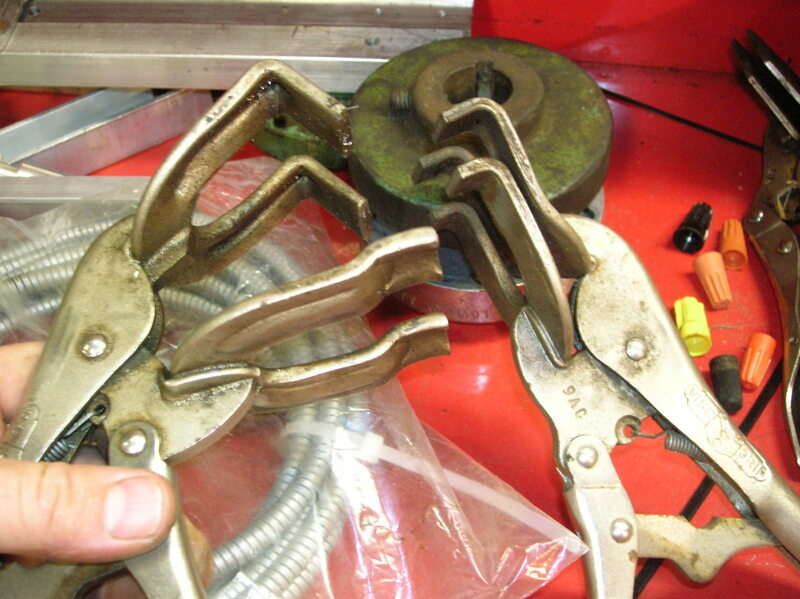 This serves to center the spotweld cutter, and tends to reduce cutter breakage due to a wandering pilot. 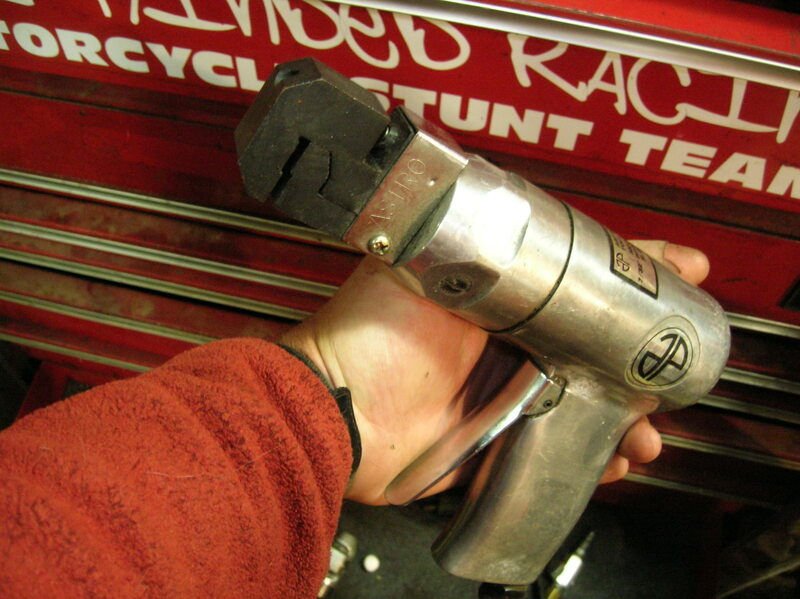 Spotweld cutter. This one is made by the Blair co. Similar to a Rotabroach. Notice the blunt pilot. 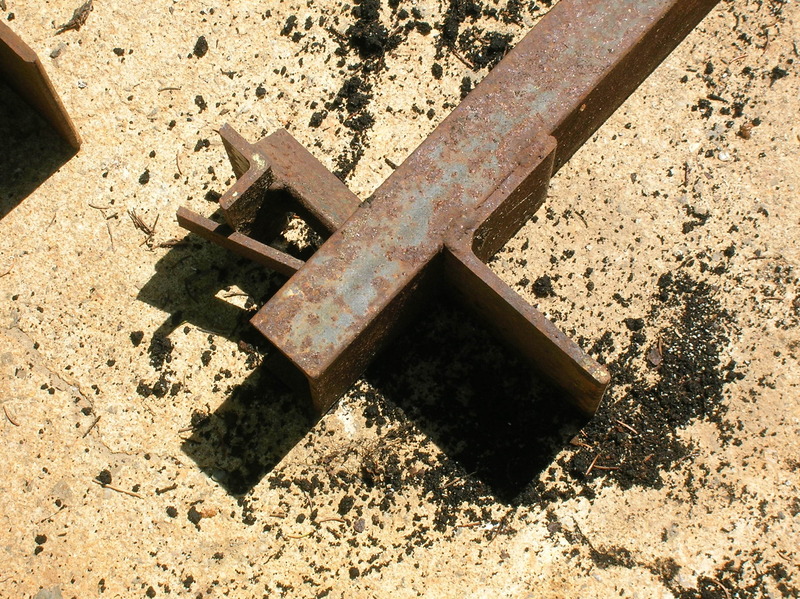 If you pre-drill a shallow center hole, the pilot doesn’t need to be sharp. 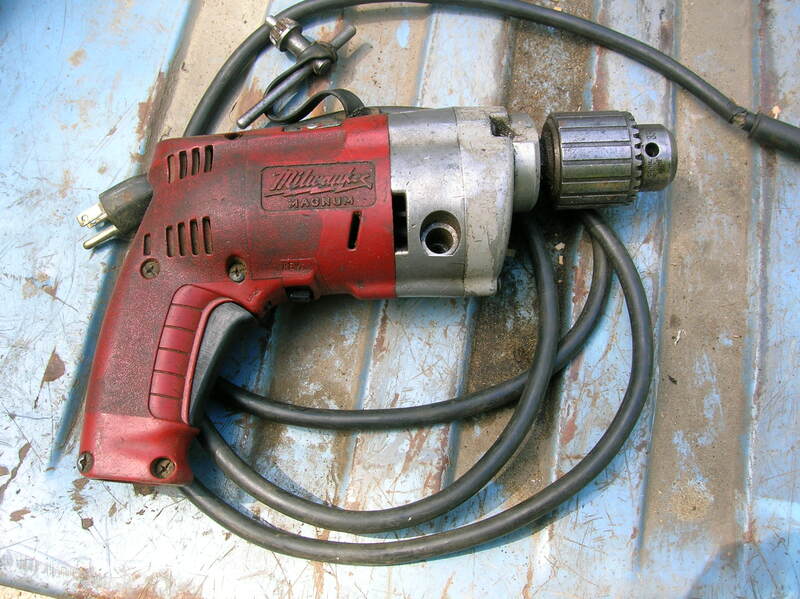 For longer life, drive this cutter with a slow speed electric drill. 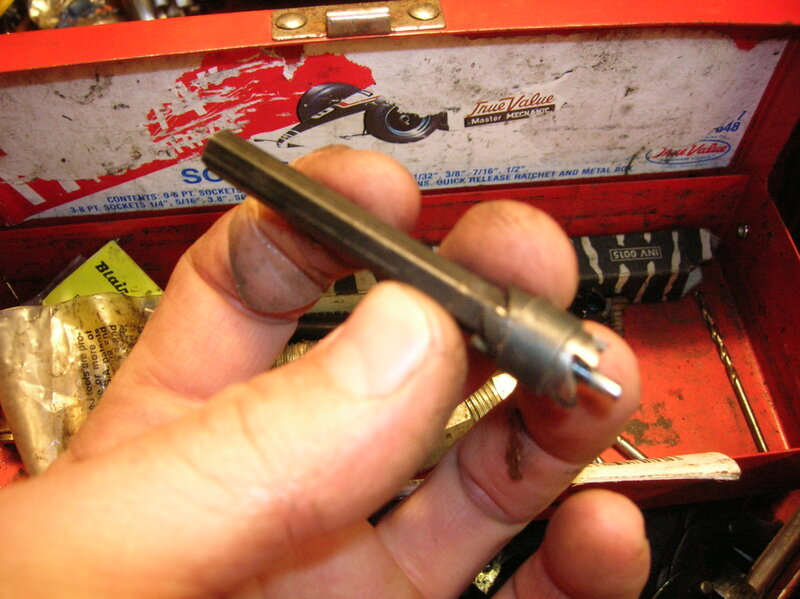 I use a 1/2″ Milwaukee Holeshooter. Chisel bits. Choose a tip suitable for the cut. These are good for bulk removal of waste metal. Also good for chipping undercoat. 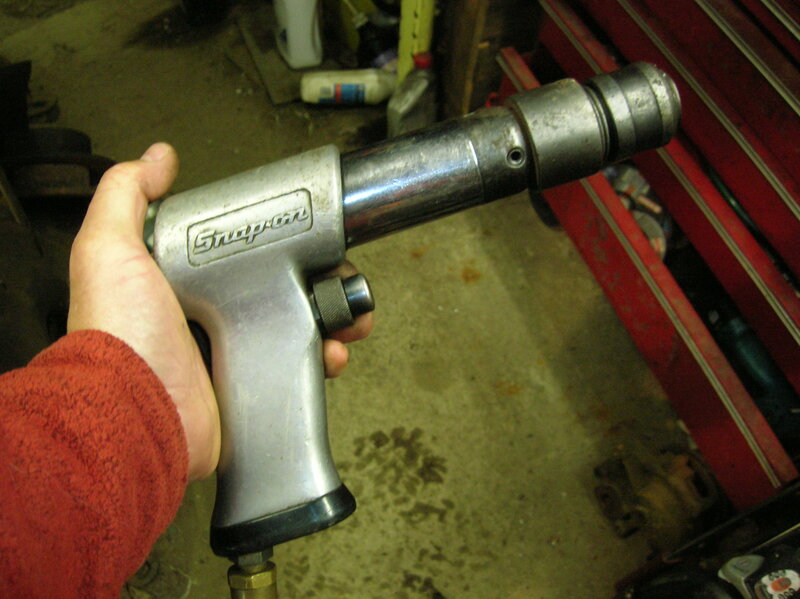 Pneumatic chisel. I have two of these, this one has a longer barrel for a harder hit. The smaller unit is a bit more maneuverable. 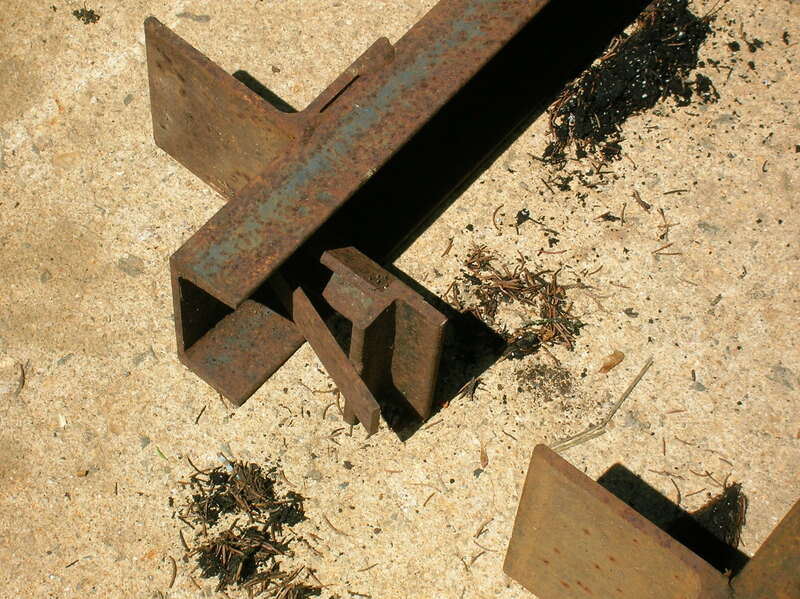 Chiseled sheet metal usually presents a very sharp edge, so conduct yourself accordingly. 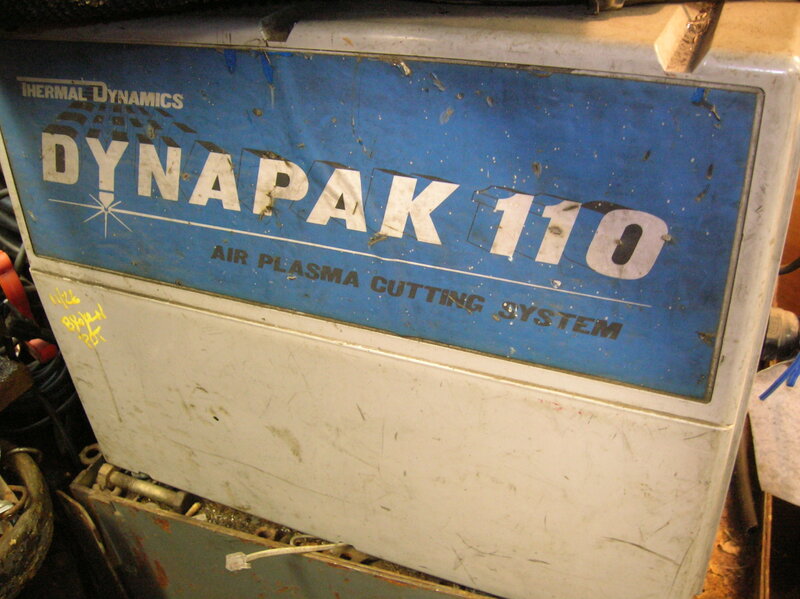 Small plasma cutter. You don’t need one, but they can be handy for removing diseased metal. Be careful not to set the project on fire with a shower of hot debris. 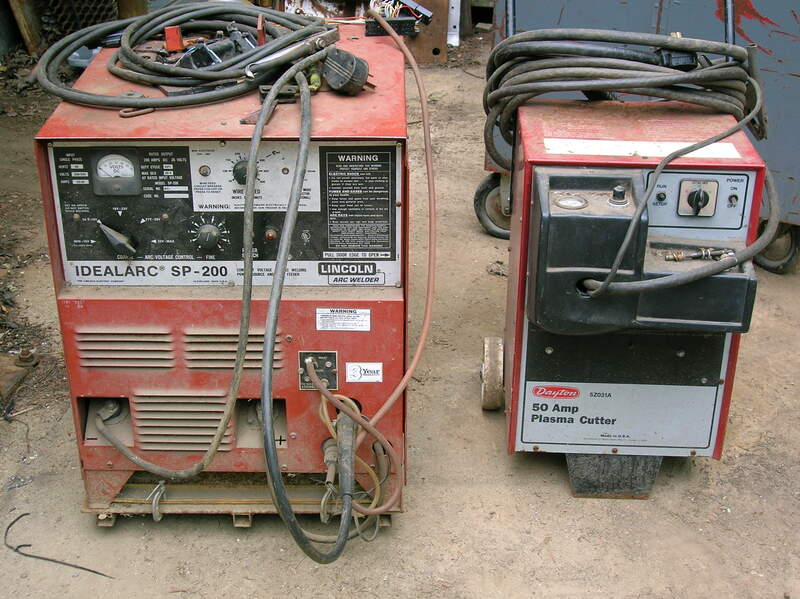 This machine has a much smaller torch than the 50 amp box, and can cut thin metal with reasonable dexterity. No good beyond 16 gauge, and don’t even think about aluminum. 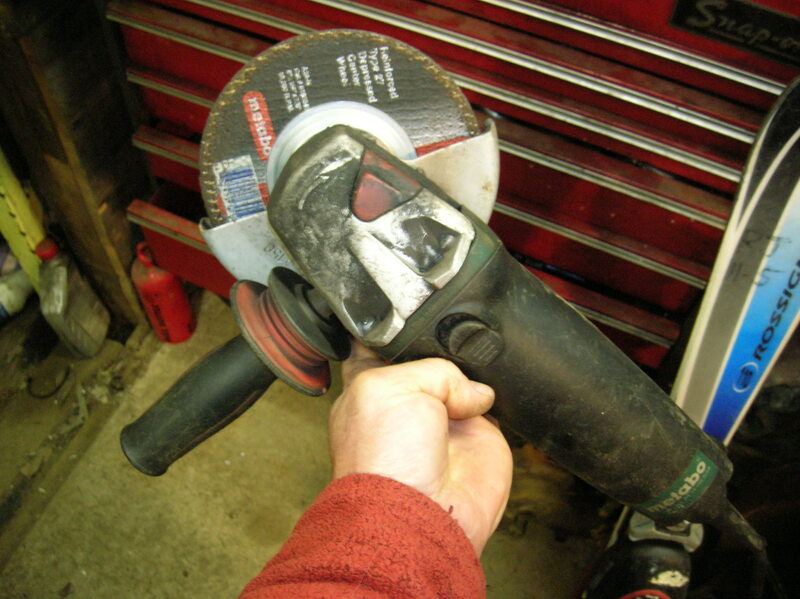 6″ angle grinder. I like the Metabo, as they have plenty of torque, and don’t shy away from ‘serious’ grinding. 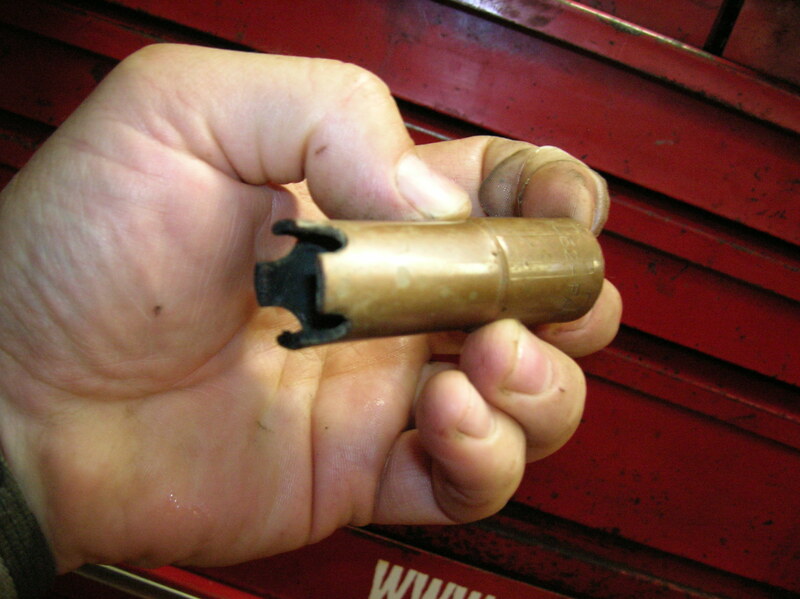 This is a good way to remove the leftover nub of a cut spot weld. Add a wire knot wheel, cupped or flat, for stripping undercoat and seam sealer. 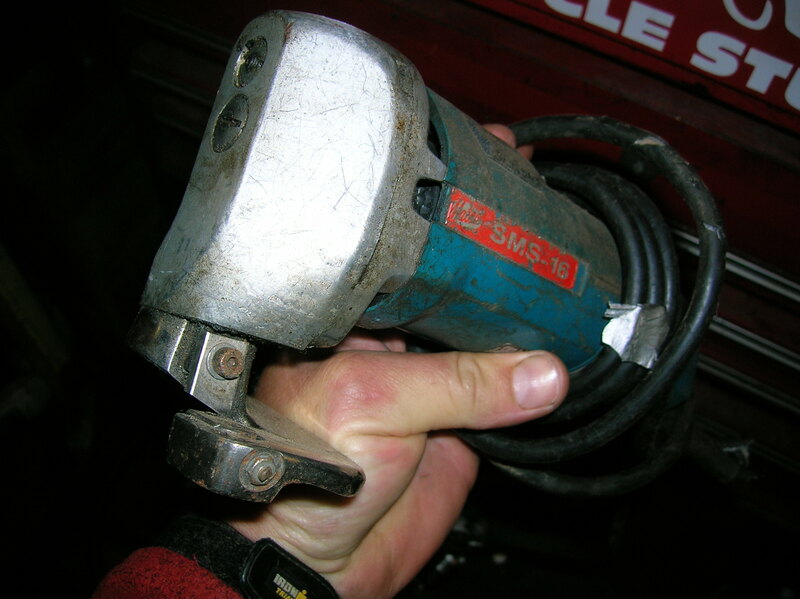 Die grinder with abrasive (not a slicer) wheel. Good for fine tuning/aligning seams. Chicago Pneumatic nibbler. The die rotates and locks at 90 degree increments. This is good for a fast rough cut of clean flat sheet. Tends to self feed. Keep the waste chips out of your socks. Electric shear. Slower than the nibbler, but much more accurate. Good for trimming to near final size. Small ViseGrips. You really can’t have too many clamping devices. In addition, you’ll want a set of right and left cut ‘aviation’ tin snips, and a straight cut set for heavier gauge metal. Hand files, a few body hammers and dollies, and a pack of Sharpie markers. Cardboard for templates, and a good set of heavy duty scissors. Also protection for ears, eyes and lungs. 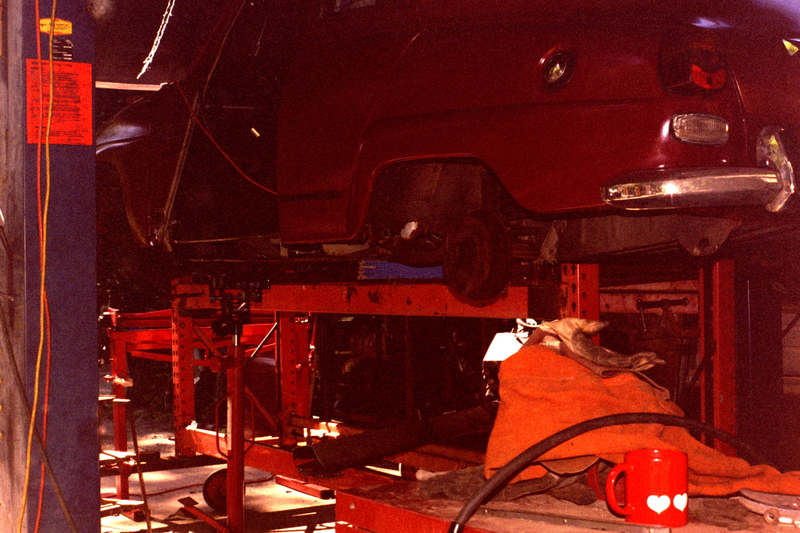 I built a frame fixture to elevate the project to a comfortable working height, to support the car without the impediment of the lift arms, and also to maintain the alignment of the chassis once the rotten metal was removed. The greater part of the fixture is made of surplus pallet racking. The uprights are 24″ wide, the four beams are 8′ (I think, it’s been a while and I should measure), and the base is c channel with 3 large casters at each end. 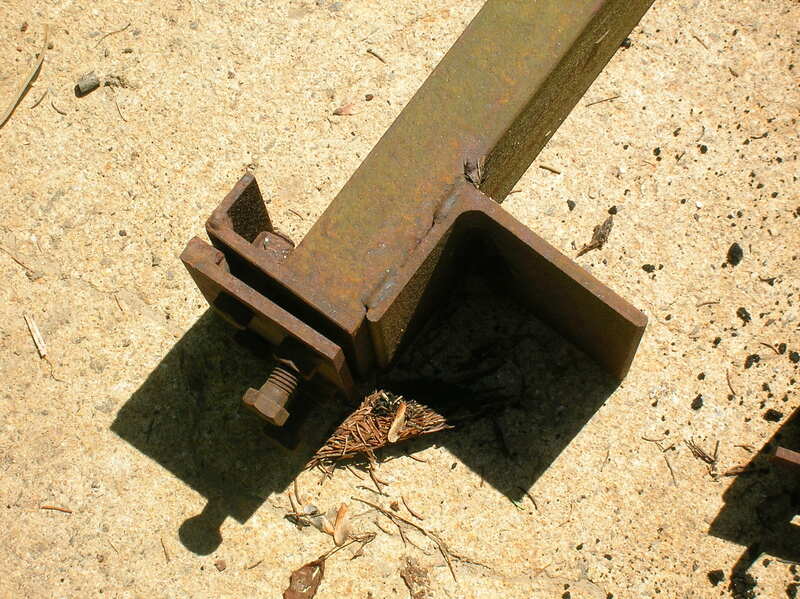 The upper bracket clamps each side of the pinch weld under the trunk section, right behind the rear axle ‘pass-through’. 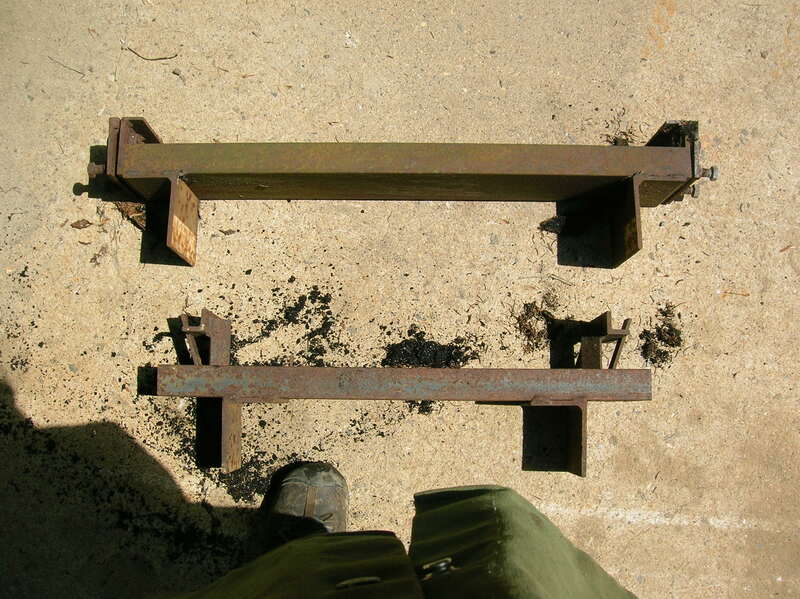 The lower tabs maintain position on the rack beams with the assist of a large C clamp. The lower bracket supports the front of the car by way of the lower control arm reinforcing bar. The tabs on this bracket set to the inside of the rack beams. Detail of pinch weld clamp on rear support.